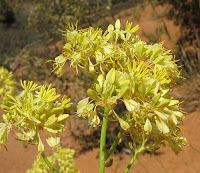 These colourful plants (also known as Golden Pennants) are very common in the south of Western Australia particularly after fire or when soil has been disturbed, therefore are often seen growing along roadsides especially gravel ones. 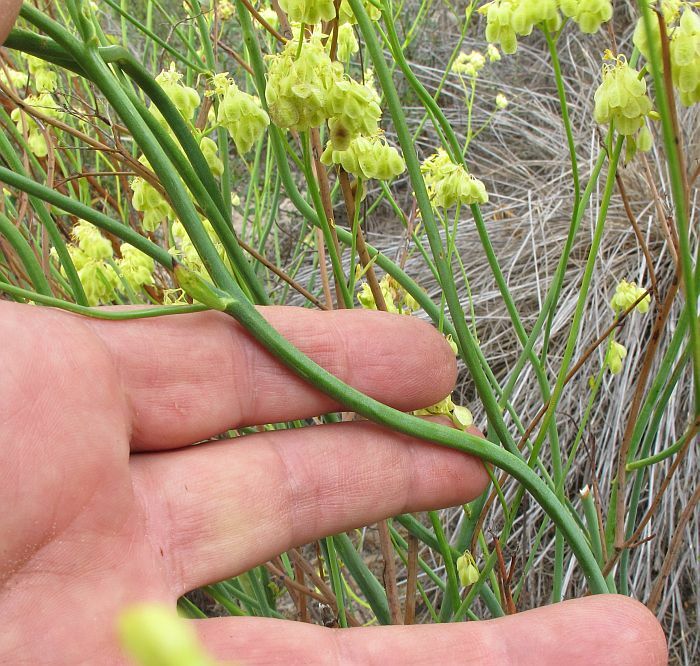 There are a total of 5 Glischrocaryon species (genus endemic to Australia) of which 4 reside in WA, the fifth along with some of the others are variously spread across SA, Victoria and NSW, although rarely in the latter. 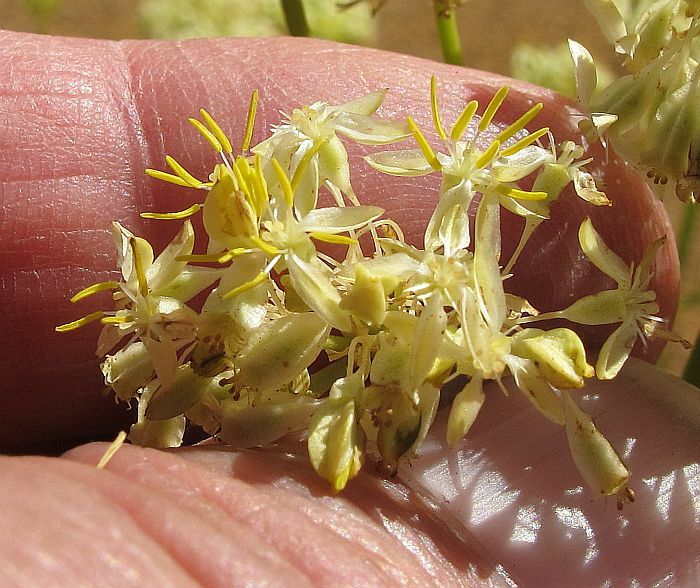 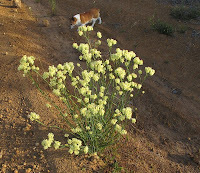 The Pale Yellow Pop-flower mostly grows south of a line between Kalbarri and the Nullarbor, with outlying records from the Wiluna and Kalgoorlie districts. 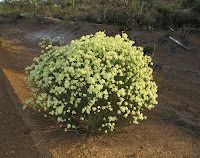 It also extends into SA as far east as the Adelaide Hills. Glischrocaryon flavescens is the easiest species to identify as it is the most robust, growing to over a metre (4’) in height with thick stems in excess of 3 mm diameter. 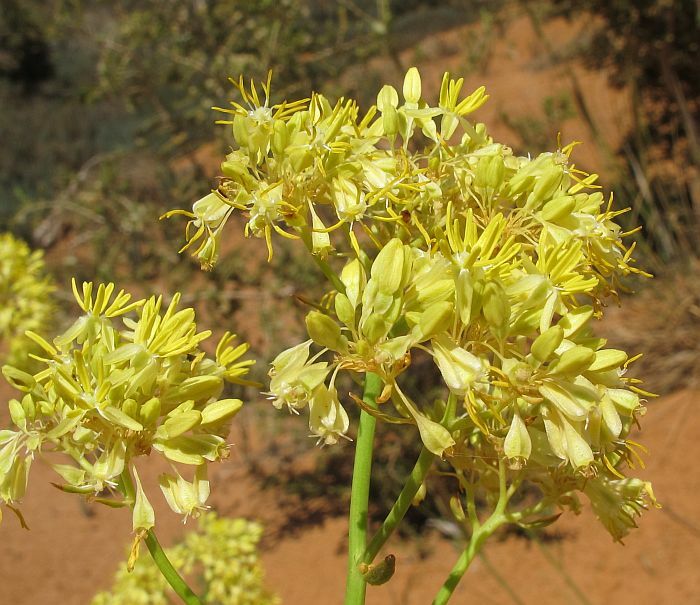 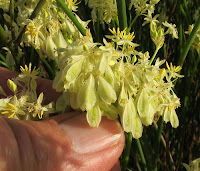 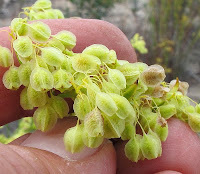 The pale yellow/cream flowers and fruits are another give-away, although these can be bright yellow when growing on quality clay/gravel soils. 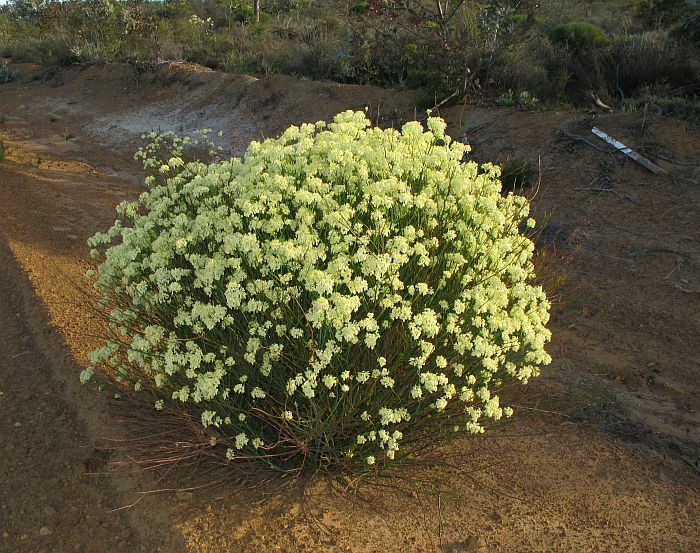 Generally, this and other species will tolerate a variety of habitats, but the Pale Yellow Pop-flower has a greater preference for well-drained loams over limestone, broken rock or gravel, especially on mounds, gentle slopes and hillsides. 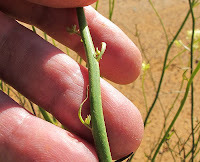 The fruits expand during maturity, becoming dry, light and paper-thin that pop when squeezed. These fruits are as ornamental as the flowers, even looking like them from a distance thereby providing attractive displays for long periods, which depending on local weather conditions can be from August to February. Glischrocaryon belongs to the Haloragaceae family.